The $42 foam pen is also much safer than 3D-printing pens which have to heat up in order to melt the plastic they extrude. Remember the burns you got the last time you tried to use a hot glue gun? There’s no risk of that happening here because this pen creates 3D shapes using the same foaming liquid hand soap you have sitting next to your bathroom sink. 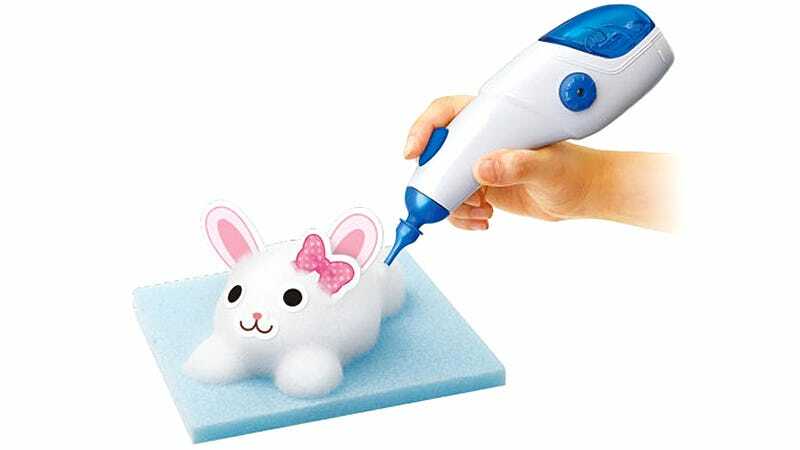 Watching this video will answer absolutely zero of your questions about the product since it’s all in Japanese, but if a couple of 10-year-old girls can master a 3D Foam Pen in just a few minutes, there’s no reason an adult couldn’t master it in just a few months.